Crystal Ice Endless Shimmer New Years Eve Sparkle! 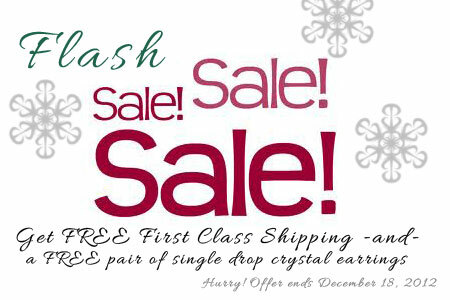 Sparkle this New Year's Eve with one or both of these stunning Crystal Ice jewelry pieces! It's the final flash sale offering for the year 2012. Although it's too late to ship for Christmas, these sparkling handmade beaded jewelry pieces are a definate grab-it-before-its'-gone deal! These pieces can be Made to Order. 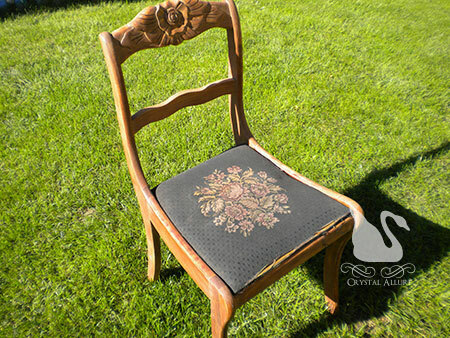 Please contact us for pricing, availability and/or customization. On their own, the Swarovski Crystal Ice Endless Shimmer Necklace (N103) is $76.95 and the Crystal Ice Rockin' Rondelle Sterling Bracelet (B191) is $59.95. 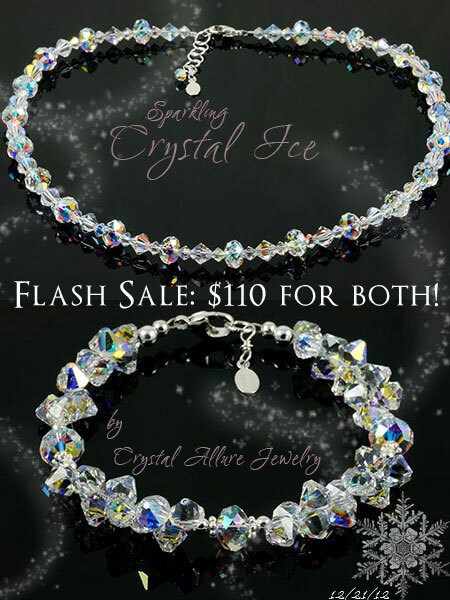 But, during this 2-days only flash sale, you can get both the beaded necklace and the beaded bracelet, made with shimmering aurora borealis Swarovski Crystals, for just $110.00!! I know right?! The crystal necklace is an endless strand of shimmering aurora borealis Swarovski Crystals in various cuts provides a feminine texture that highlights the luminosity that only a Swarovski Crystal can provide. Accented and finished with sterling silver, signature jewelry tag and the adjustable extender chain gives you 16-1/2" - 17-1/2" in length. The crystal bracelet is a stunning strand of sparkling aurora borealis Swarovski Crystals in various cuts, accented with sterling silver beads, bali and finished with our signature jewelry tag. No matter what outfit you pair these two jewelry pieces with you can be sure you'll turn heads on New Years Eve! And what is so great about our Crystal Ice Jewelry Collection is that each piece can be worn individually with everyday looks! Jeans and t-shirt? No problem! Professional business suit? No problem! Now that is what you call versatile jewelry! Only one of each piece is in stock. 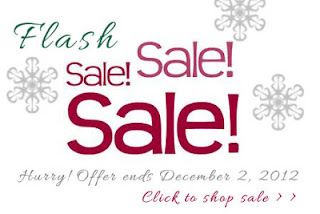 Offer ends midnight EST December 22, 2012. An endless strand of shimmering aurora borealis Swarovski Crystals in various cuts provides a feminine texture that highlights the luminosity that only a Swarovski Crystal can provide. Accented and finished with sterling silver, extender chain and our signature jewelry tag. Size: CHOKER to PRINCESS -adjustable 16 1/2 inches to 17 1/2 inches. 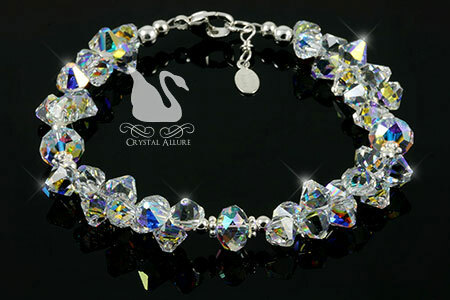 A stunning strand of sparkling aurora borealis Swarovski Crystals in various cuts showcase the luminosity that only a Swarovski Crystal can provide. 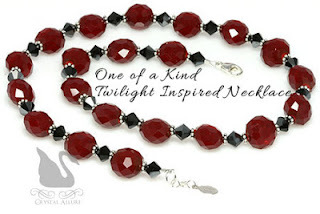 Accented with sterling silver beads, bali and finished with our signature jewelry tag. 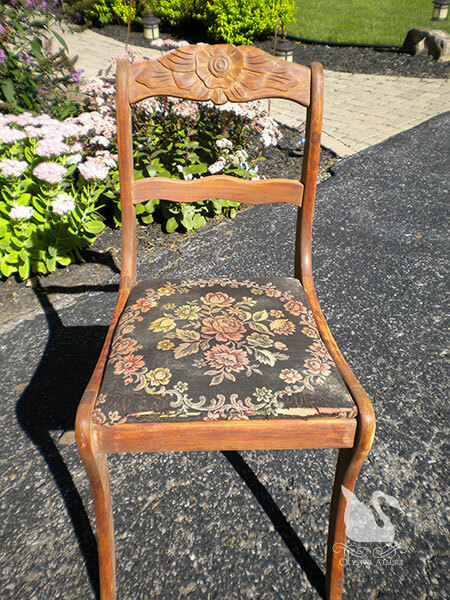 Measures 7-1/2". 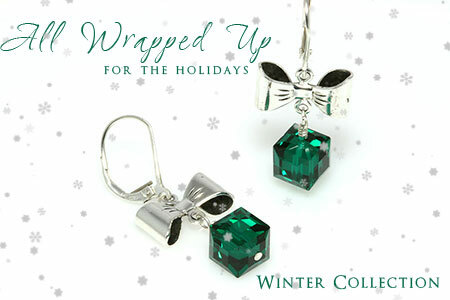 At this time of year, I especially love creating custom personalized jewelry gifts. 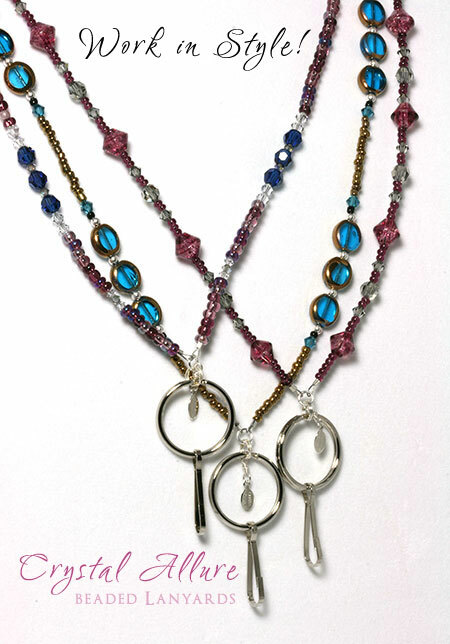 There is no denying, giving the gift of handmade custom beaded jewelry -at any time of the year -makes the gift special. But, giving the same during the holidays, makes it extra special. 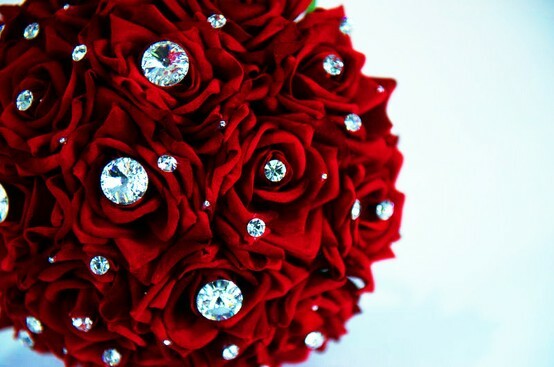 Kayleigh did a specific search for Crystal Allure Jewelry and contacted us with her special custom request. She really loved our exclusive Custom Live Life Give Life Organ Donation Transplant Awareness Beaded Cuff Bracelet B113, designed for Elaine. This is a first for me, a custom living donor beaded bracelet design request. I've done many organ donation bracelets and transplant awareness bracelets, but not a living donor bracelet. Kayleigh was inspired by the existing LLGL single strand design but asked for her mom's name to be added to the design, as well as, a snowflake charm. Kayleigh's mom, Carrie, gave the ultimate gift to her best friend -the gift of life. Carrie donated one of her kidney's to her friend and Kayleigh wanted to celebrate her mom with a beautiful personalized bracelet gift. I am honored she chose Crystal Allure Beaded Jewelry to create this very special bracelet. The finished design is really three bracelets in one: a name bracelet, a living kidney donor awareness bracelet and, a deeply heartfelt custom personalized design with the addition of the snowflake charm. When I asked Kayleigh what the significance of the snowflake charm was, she told me it was because her nickname was snowflake. 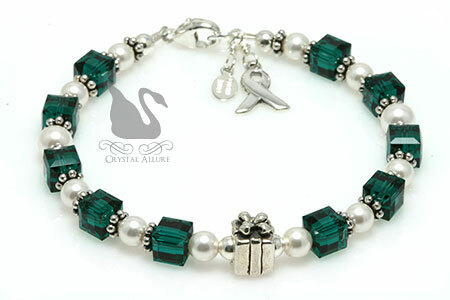 Shown above is Kayleigh's custom awareness bracelet design featuring sterling letter blocks that spell "Carrie" (her mom's name), Swarovski Pearls, green emerald Swarovski Crystals, sterling silver, Bali beads, finished with a sterling silver Snowflake charm and our signature jewelry tag. It is generally during the holidays that we tend to get nostalgic and really give thought to what we are truly thankful for. But for all the things we think of being thankful for, we tend not to necessarily think about, life. Can you recall ever thinking to yourself, I'm thankful to be alive. For the person facing the need for transplant, they know -every day -they are thankful to be alive. And the pray they will receive that transplant call and all will go well. Even after transplant, they are thankful for the Gift of Life and a second chance. At this time of year, I tend to get more nostalgic and think about my brother who passed. I think about what life, for both he and myself, would be like if he received the Gift of Life. But, I cannot dwell on what will never be, but I can certainly understand and almost feel, both sides of the fence. I honestly believe those faced with transplant are exceptional people. For some reason, they were chosen to be faced with this path in life. Some sadly, leave this world and become guardian angles and teachers of just how valuable life is and to never waste it. And those that do receive the Gift of Life, truly embody their second chance at living a full, happy life and in making a difference. I happen to have been blessed with meeting one of these special people. Her name is Joanne Schum. After my brothers' passing, I started a charity in his memory and had read a local newspaper article about a woman who had just had a lung transplant, due to cystic fibrosis. I did a little research, found how to contact her and mailed her a letter and invitation to join the charity board. That was twelve plus years ago. 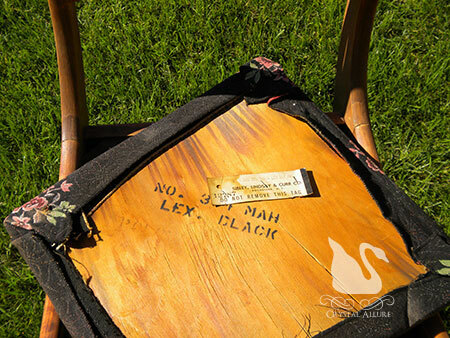 Today, she continues to support any work I do that supports organ donation, transplant or lung transplant. It is, I, who has been given the gift -the gift of knowing her. I can only hope to make as much an impact as Joanne does in the transplant world. It is all these thoughts, feelings and more that inspired this handmade awareness bracelet design. The Gift of Life Organ Transplant Awareness Bracelet (B210) is the perfect design to celebrate your transplant or to give as a gift to someone who has had a transplant. It is a design that speaks volumes, but has no voice. This timeless treasured design features our signature combination of emerald green Swarovski Crystals, white Swarovski Pearls, Bali beads and prominently centered in the design is a sterling silver gift box bead. I feel it tells a story, just like the well known Pandora bracelets do, but with a single bead. A gift. Finished with a sterling silver awareness ribbon charm and our signature jewelry tag. Because this awareness bracelet has such special meaning, it will only be made in limited quantity. Can you remember the last time you sat down and hand-wrote a letter? I know I can't! But, I do write something everyday. What makes writing for me more interesting? (especially if I am forced to have to write out checks) I do it in style with my own beaded pen! These have been a long time coming but they are finally here. 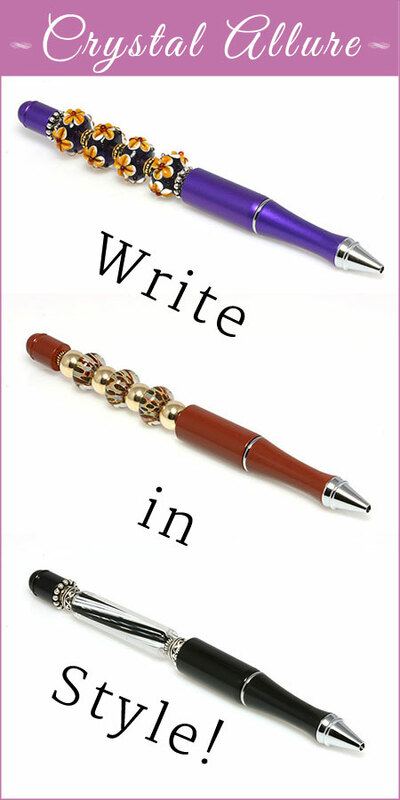 These handmade beaded pens are beautiful writing instruments that make the task of writing just a little more elegant. This collection currently has three new beaded pens available and for a limited time, at a great introductory price (pssst! 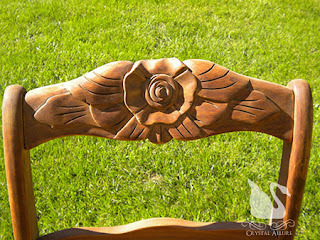 Introductory price savings end October 1, 2012). Whether you have to write a thank you, a letter to your friend, or even to simply sign your name, do it in style! 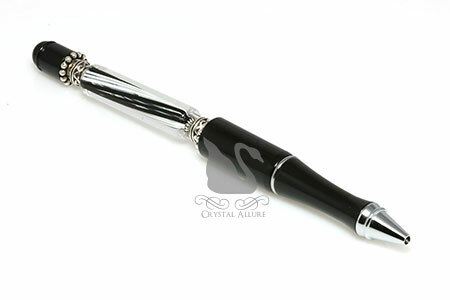 Each beaded pen has a retractable pen tip with a slight twist of the pen base and arrives in a velveteen pouch. Total length: 6". More pen styles will be offered in the future and each pen is one of a kind. Which makes them the perfect unique gift! Combine one of these beaded pens with a beaded lanyard for the perfect secret Santa, coworker holiday gift. Or choose any one of the handmade beaded gifts for a combination that is sure to make the gift recipient feel special. With a nod to autumn this stunning handmade beaded pen features a handcrafted artisan Lampwork glass bead that has a beautiful purple base with a rich topaz flower. Lampwork beads are accented with gold metal spacers in between Lampwork beads with silver bali style spacers on either end of the purple pen. This distinctive handmade beaded pen features beautiful handcrafted artisan boro lampwork glass beads in a lovely chameleon style pattern of brown, turquoise, blue, orange and green colors. No matter how you look at this beaded pen, the color is fascinating! Lampwork beads are accented with 14kt gold fill round beads and antiqued gold ring spacers. This classic handmade beaded pen features a handcrafted artisan furnace cane lampwork glass tube bead with a black and white stripe pattern. Lampwork glass tube is accented with silver basket weave style beads and bali style beads. Summer isn't over just yet. In fact, it doesn't officially end until September 22nd. The sun is still shining. The weather is still warm. We're still wearing our bright colored summer clothes. And we're still dreaming of summer vacations taken this year. With the new school year beginning soon (and for some it's already begun), you're probably busy running around getting all the necessary school supplies, new clothes and bus schedules for your child(ren). For me, this is already done. We didn't jump into getting new clothes as we think our child will hit a growth spurt this year and didn't want to buy clothes that might not fit in a few months. So, she can survive on her current wardrobe. But, all other school supplies are checked off the list. We're ready for the school bus. But, with the new school year starting, I'm kinda sad to see summer coming to an end. So, I'm still summer shopping...for myself. 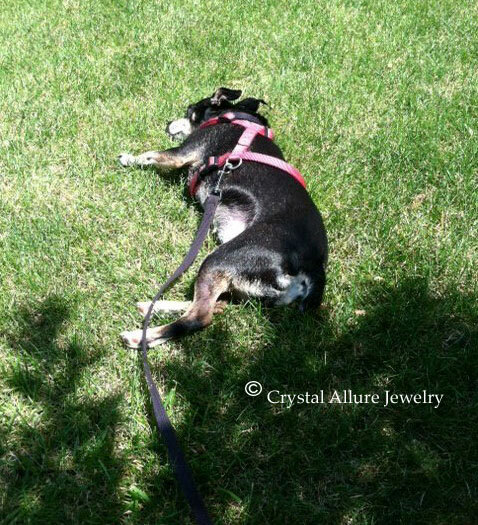 Although I tend not to get the seasons trendy clothes, I do add that color pop or seasonal accessory compliment to my wardrobe with, none other than Crystal Allure Jewelry. By simply adding a bracelet, necklace or earrings, I instantly update my look at an affordable cost. As we close out summer 2012, I have four new handmade beaded earrings to share with you. 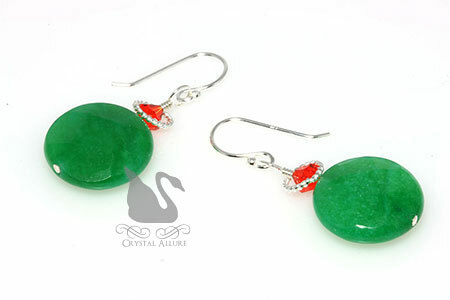 They are one of a kind from the Summer Beaded Jewelry Collection. 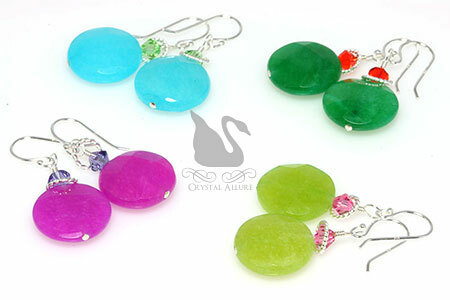 I came across some beautiful gemstones and was instantly inspired by their tasty colors. In flavors reminiscent of summer picnics, these one of a kind beaded gemstone earrings feature a faceted dyed jade gemstone accented with Swarovski Crystals, sterling silver twisted rings on sterling silver french hook ear wires. Each measure 1" from the bottom of the ear wire. 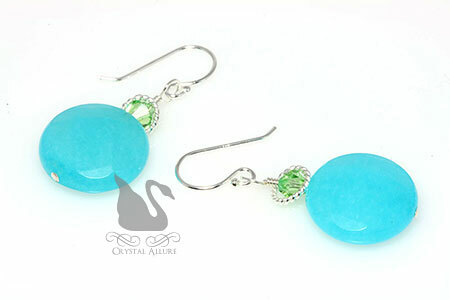 A soothing aqua blue dyed jade gemstone faceted disc is accented with sparkling peridot green Swarovski Crystals, sterling silver twist circle rings on sterling silver ear wires. Length is 1" from the bottom of the ear wire. A tangy pickle green dyed jade gemstone faceted disc is accented with sparkling orange hyacinth Swarovski Crystals, sterling silver twist circle rings on sterling silver ear wires. Length is 1" from the bottom of the ear wire. 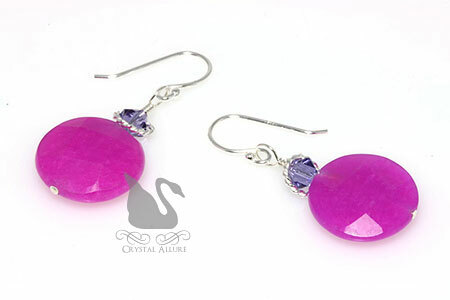 A fruity-licous bold color choice for a more bold personality is our fuchsia dyed jade gemstone faceted disc is accented with sparkling purple tanzanite Swarovski Crystals, sterling silver twist circle rings on sterling silver ear wires. Length is 1" from the bottom of the ear wire. 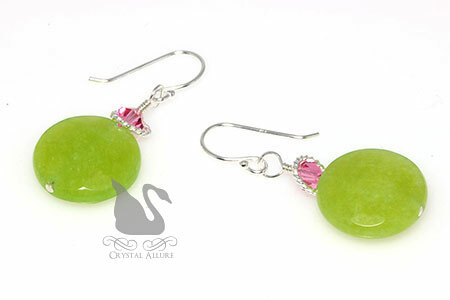 A delicious apple green dyed jade gemstone faceted disc is accented with sparkling rose pink Swarovski Crystals, sterling silver twist circle rings on sterling silver ear wires. Length is 1" from the bottom of the ear wire. I completely realize we are just nine days into the summer season and here I am (finally!) posting about a custom beaded order I received just before the holidays...2010! Seems I had created the draft blog post but had not completed it. 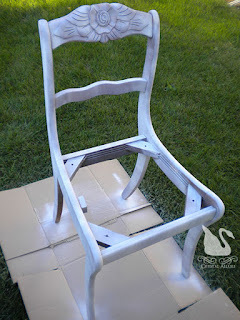 Recently while cleaning up the blog, I accidentally posted it...and it wasn't ready yet. 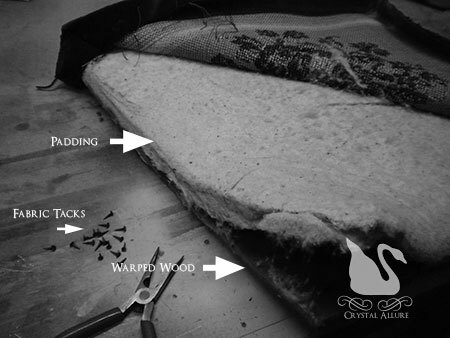 So, that mistake, which actually turned out well, has pushed me to get this shared with you. See...everything happens for a reason. My long time customer, Roland, usually places a wholesale order for my beaded suncatchers. He gives them out to his own customers'. But this time, he wanted two custom handmade beaded necklaces to give as gifts to his granddaughters. One granddaughter, Lauren (16 years old), plays the trombone. The other, Christina (14 years old), plays the french horn. 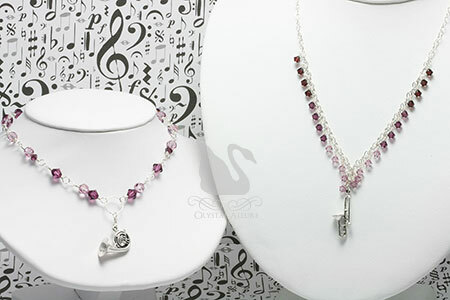 The best part of this custom order was that Roland gave me full artistic freedom in the overall design, all he requested was that each necklace have a pendant that represented the instrument that each played and that both be made with purple crystals (their favorite color -and mine too!). 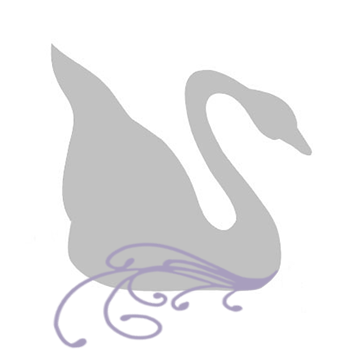 After delivery of both necklaces, Roland decided he wanted the french horn necklace to have cameo effect for the pendant. A bit of sterling silver wire did the job perfectly! I was a little concerned that a 14-year old might not "get" the cameo as very fashionable. But, both girls loved their necklaces! Whew! 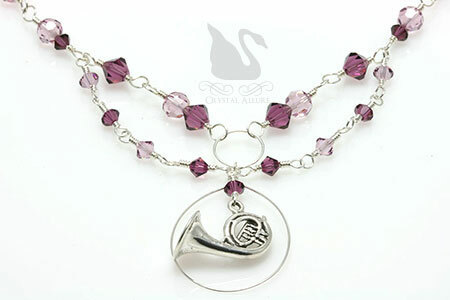 The French Horn Swarovski Crystal Muscial Charm Necklace (N107) featured a mix of both light amethyst and amethyst crystals, artistic wire wrapping and was fully adjustable from 13-1/4" to 14-1/4". The Trombone Swarovski Crystal Ombre Musical Charm Necklace (N108) also featured a mix of both light amethyst and amethyst crystals wire wrapped in an ombre effect on a sterling silver chain and measured 15" in length. June is National Adopt A Shelter Cat Awareness Month. Personally, I believe pet adoption should be your first option. All my pets have been rescues, even as a child. And each one has brought happiness and something unique to my life. Many shelters are running adoption specials this month, especially on cats. But, please, before you adopt, make sure you can make the full commitment of pet ownership and will honestly make the commitment. In January 2010, I introduced a new collection of Swarovski Crystal Animal Awareness Bracelets to support spaying-neutering your pet to help reduce pet overpopulation, prevention of animal abuse and the prosecution of abusers. 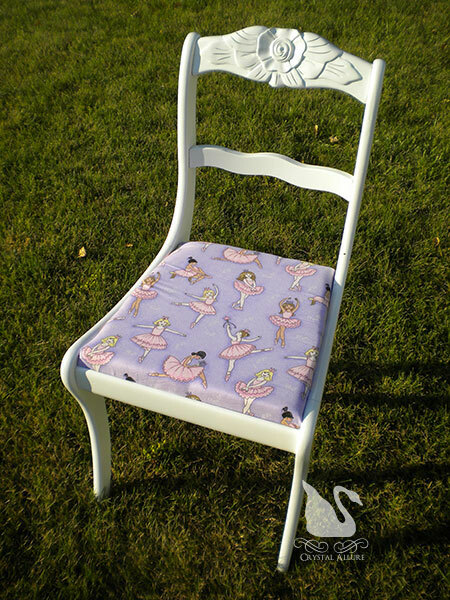 A percentage of the proceeds is donated to applicable charities and/or programs. Recently added to this collection is the Prevent Animal Cruelty Orange Paw Crystal Awareness Anklet (A118), designed with orange crystals and red aventurine gemstone beads (the awareness color representing prevention of animal cruelty). With this 10-1/2" beaded anklet, not only are you raising awareness but you will also be a fashionista! Pantone has named Tangerine Tango (orange) as the color of the year (2012) and orange is also the nationally recognized color for raising awareness of Animal Abuse and Cruelty. Help save an animal's life and reap all the benefits of pet ownership -adopt a shelter cat (or pet) today! I wanted to take this opportunity to introduce two of our rescue shelter cats. Meet Doodie and Ralphie (aka Mushie Man). As with all pets, ours were named for their personalities. Doodie, a domestic short-haired tiger cat, was actually named Lucky and indeed he was. He was scheduled to be euthanized but somehow got out of his cage and hide in a dog's cage for three days. When the shelter found him, they felt he was special and they contacted a no-kill shelter to take him in. Doodie got his name from, well, his stomach problems. When he was little...yeah...it wasn't pretty. But, he fought against the odds and today he is a little stinker (and I mean that in a cute way!). Ralphie is our black and white tuxedo cat. He was actually already in a no-kill shelter when we adopted him and he was raised from kittenhood by the woman we adopted him from. For the record, tuxedo cats, their breed usually means they will have weight issues, so they take a little extra care to not become obese. In the picture below, he just looks much bigger because he is laying next to petite Doodie. He gets his nickname, Mushie Man, because he's such a lover! In the first picture, Doodie looks like he's getting his inner crank on. Nice face! In the second picture, my second oldest niece said it looked like Doodie was, well, passing gas. Is this interpretation something similar to 'what shape is that cloud'? And well, given his stomach issues, he just may have! I'm a little late in sharing this important blog post and introducing you to some of our sweet adopted cats. It's been a busy week and after today's work day, seemed an appropriate post to show the value of animals and pets. And I must admit, my mind has been elsewhere, seems like for weeks, but my focus kind of got away from me this week. But, thanks to my friends and a few of my readers for the kick nudge (in the email)! Effective June 26, 2012 Google announced a change in their checkout offerings. Google Checkout has now changed to Google Wallet. 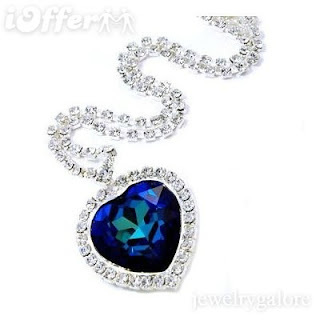 Crystal Allure Beaded Jewelry Designs does accept Google payments but this change will not affect how you checkout on our site. 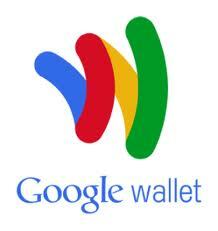 The only change you may notice is the payment logo for Google Wallet (which looks similar to the one on the right). - Google Wallet securely stores your payment information and makes purchasing fast both online and in-store. - If you’ve used Google Wallet or Google Checkout before, all you need to do is log in with your Google username and password to buy from us. - If you’re using Google Wallet for the first time, just fill out the single page of information when you make your purchase. After that, you’ll only need your Google Wallet login to make a purchase. There’s no need to re-enter your information or create multiple usernames and passwords each time you buy. - When you pay with Google Wallet, you can track all of your orders in one place. With school having ended, I spent some time filtering through the little one's paperwork (what to keep, what to save). It is A-mazing what waste one child could generate. 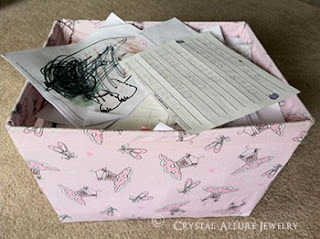 She has a ballerina box that we have her put all her school work into each day she comes home from school. The box dimensions are 16-1/2" (long) x 14" (wide) x 10" (deep). This box was full from just one school year and to be honest, I had already filtered out some of her papers as she brought them home! While I was doing this paper cleansing, the little one decided she was going to work with me in her playroom and began compiling handwritten notes -that later I learned she taped all over the house. One of the notes, she taped on the basement door. Our cats' hard food bowls are on the landing of the basement stairs. One of her daily responsibilities is to make sure the food bowls are full. On this particular day, it was a hectic day and she forgot to check the bowls when we got home. My husband also happened to get home late on this day and she was already in bed for the night. Knowing what the note said, I tell him there's a note for him on the basement door. 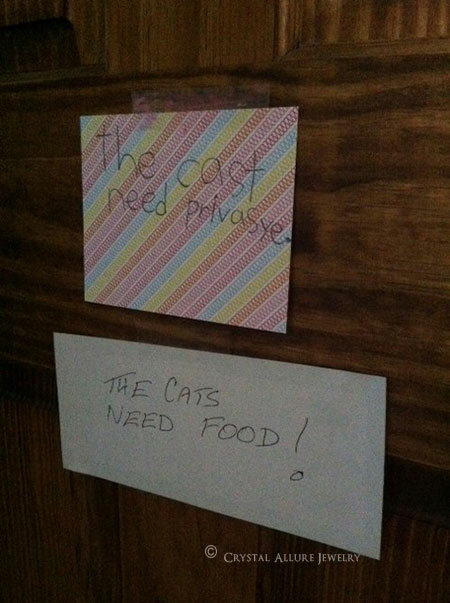 He reads the note, "the cast needs privasye" (in kids' speak it really says, "the cats need privacy"). 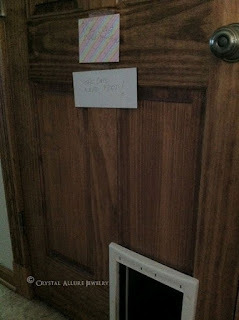 My husband assesses things and writes her a note back. I'm not sure what her goal was with the note, but I don't think she believed we'd write her a note back or that she'd get a response. Either way, it was way to funny! Now, onto jewelry related news (the main purpose of the blog). I've been working with some fantastic ladies and will have a few custom beaded jewelry designs to share with you soon. One custom request is for a couple of pulmonary fibrosis awareness bracelets and the other is for an aplastic anemia awareness bracelet.